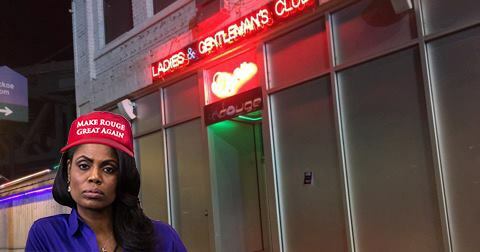 RICHMOND, Va. — Former White House political aide and star of “The Apprentice,” Omarosa Manigault Newman was seen working the door at Club Rouge last Friday. Sources confirmed that she took the new gig as a bouncer after being unceremoniously fired from her job at the White House on Dec. 12. Reports state that Manigault Newman was forcibly removed from the White House after demanding to speak to the President regarding her termination. Her ouster comes as Chief of Staff John Kelly works to bring order to a frequently turbulent White House. While Manigault Newman will not officially depart from her White House post as Director of Communications for the Office of Public Liaison until Jan. 20, she elected to begin her job search immediately. Although she received offers from Jiffy Lube and Buffalo Wild Wings, she elected to join Club Rogue. According to Andrew Sinclair, owner of Club Rouge, she caught his eye when the details of her termination were revealed. Sinclair admitted that Manigault Newman has grossly overstated her role at Club Rouge but dismissed assertions that was an issue. Show your support for true Virginia journalism – check out our online store here.